What is Investing in America's Workforce? How can well-structured and effective workforce programs and policies result in better economic outcomes for individuals, businesses, and communities? Watch to learn about this initiative and how you can take part in it. This book is made up of three volumes: Investing in Workers, Investing in Work, and Investing in Systems for Employment Opportunity. Each volume includes chapters that identify specific workforce development programs and policies that provide positive returns to society, to employers, and to job seekers. The Federal Reserve System's initiative, Investing in America’s Workforce: Improving Outcomes for Workers and Employers, seeks to reframe workforce development from the provision of social services to an important investment in our national economy. To support this initiative, the New York Fed organized four listening sessions across the region to hear from constituents about workforce development issues. Our findings plus those from focus groups with leaders from around the county on what is needed to improve workforce outcomes and investments are included in this report. Download the summaries below to see what we learned. Below are resources referenced in the sessions. To increase awareness of promising workforce practices and policies, the New York Fed collaborates with regional entities to organize policy forums. Each forum focuses on a theme relevant to workforce practitioners and of interest for that region. The New York Fed co-sponsors a workforce video campaign with local P-Tech Schools in the Greater Rochester region. The campaign is designed to increase awareness about in-demand industries in the region while educating students and the general public about technical and professional skills required by key industries in their community. Congratulations to the P-TECH Rochester students whose video on cybersecurity took the grand prize in our Leading the Way campaign. 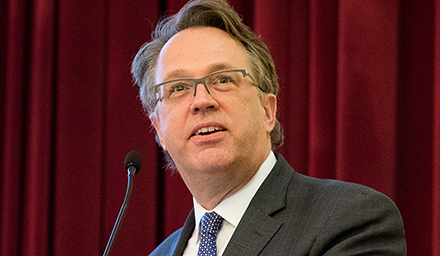 To advance financial education programming, as required by the Workforce Innovation and Opportunity Act (WOIA), and to further workforce programming, the New York Fed hosted a conference on creating stronger and beneficial partnerships among financial institutions, government and community organizations. This conference focused on improving systems leading to enhanced financial behaviors and outcomes for Workforce Innovation and Opportunity Act (WIOA) youth and young adults. The Federal Reserve System Board of Governors, Freelancers Union and New York Fed co-hosted a convening on the transformation of the workforce. The discussion looked at the role of technology, shifts in worker arrangements and relationships and the effects of these changes on workforce development strategies. "Our workforce development initiative aims to promote dialogue and a greater understanding of promising policies and programs that allow workers, especially those in low and moderate-income communities, to develop in-demand skills and connect them with employers," President Williams said in his welcoming remarks at the Investing in America's Workforce Book Launch Event. "Workforce development must, therefore, be a top priority for everyone involved: workers, employers, communities, government, and educational and training institutions. There is no silver bullet or one-size-fits-all solution. This is a complex challenge that requires a combination of strategies," President Dudley said on his 2017 visit to Syracuse, New York. "We need to do a better job positioning our workforce to cope with globalization and technological change. This will involve improvements across a range of areas, including not only education and training, but also the business regulatory environment and infrastructure investment that could support greater worker mobility," President Dudley said in remarks at the Bombay Stock Exchange. Explore employment trends and job and payroll growth. Understanding the labor market requires closely following the evolution of different aspects of it. Explore eight of them. This book collaboration among the Federal Reserve Banks of Atlanta and Kansas City and the John J. Heldrich Center for Workforce Development at Rutgers University presents new visions for transformative education and workforce development policies and practices from 65 leading scholars and practitioners.